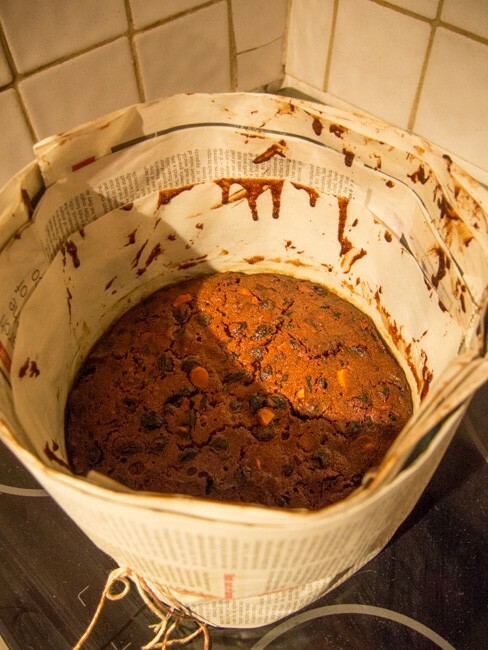 Here is a picture of the chocolate cake I made for our work Christmas Eve party. I am very proud of it! I feel this was one of my most successful cakes yet. It looked stunning and tasted delicious! 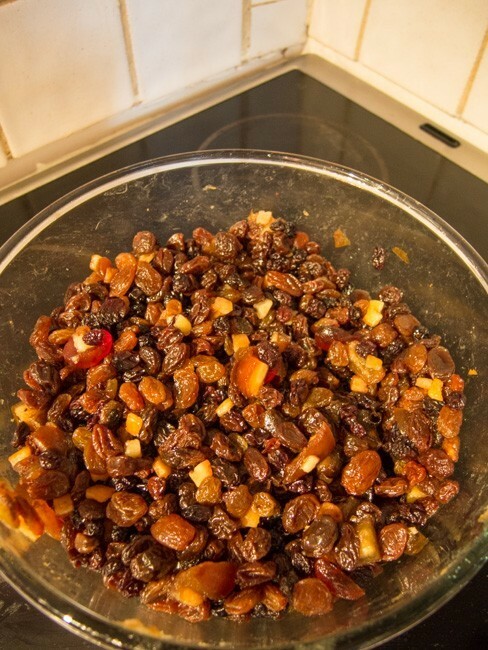 By 6pm that evening there was just one small knob of cake left and some crumbs! Inside is a four tier moist buttermilk chocolate cake. 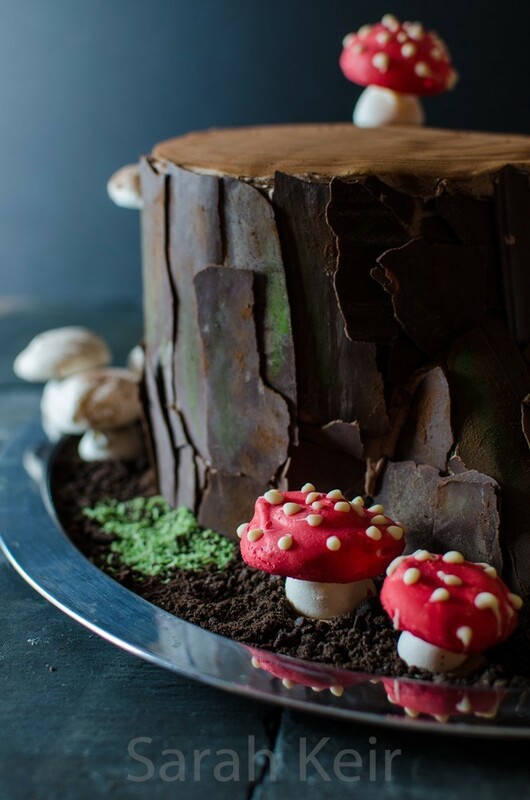 I also made a tray bake using the same recipe and decorated it with left over meringue mushrooms and buttercream. 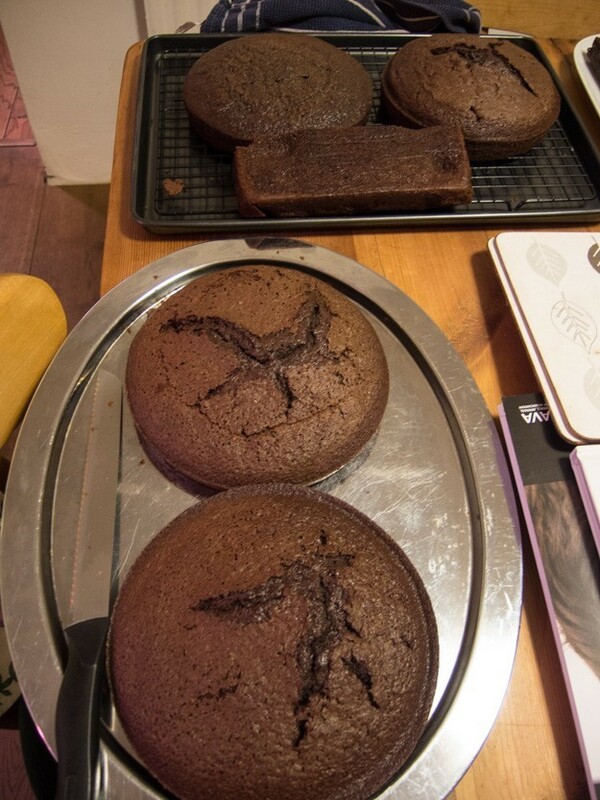 Between the two, the cakes fed 30-40 people with generous slices. 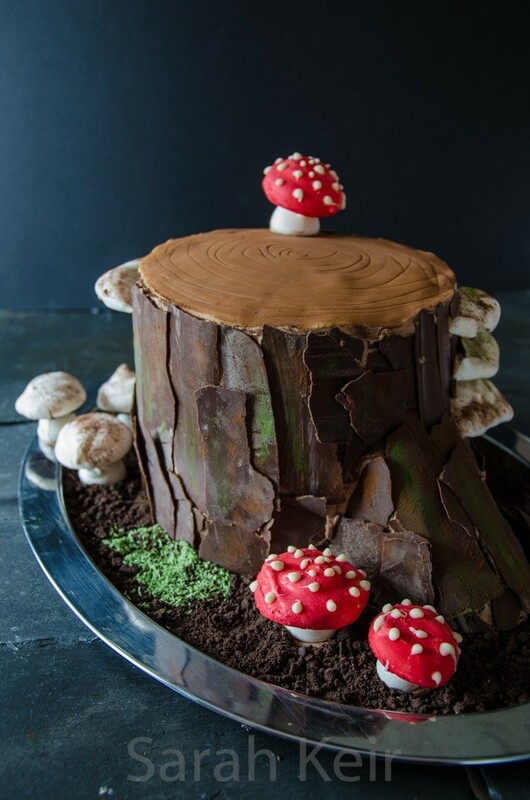 I will post the recipes for the chocolate cake and chocolate Swiss meringue buttercream and I’ll put up the directions for the meringue mushrooms imminently. 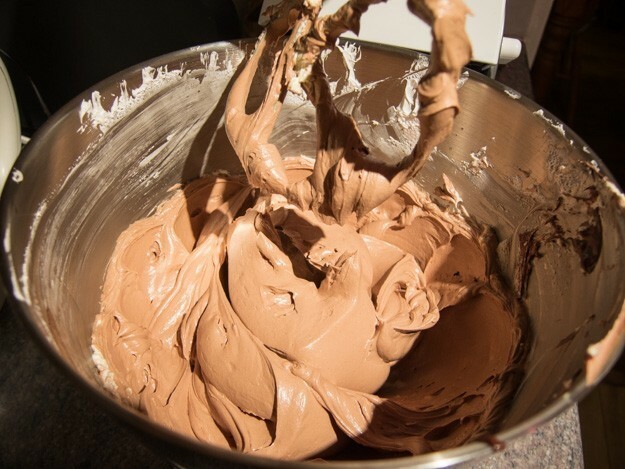 This was my second or third attempt at Swiss meringue buttercream. Previous attempts were rather heavy but this time it turned out how is was supposed to be and it was the perfect soft creamy feeling in the mouth but not overbearingly buttery or sweet; almost like eating chocolate mousse on a cake! I think the difference has to be in using a stand mixer to make it; it really gets lots of air into the meringue. So I can reveal one of the Christmas presents from my husband; a Kenwood stand mixer. I had to open it before the day so I could use it to make this cake but is had been sitting on our bedroom floor for about 3 weeks prior to this so I knew what I was getting (plus my husband asked what model I wanted so it was a bit of a give away)! 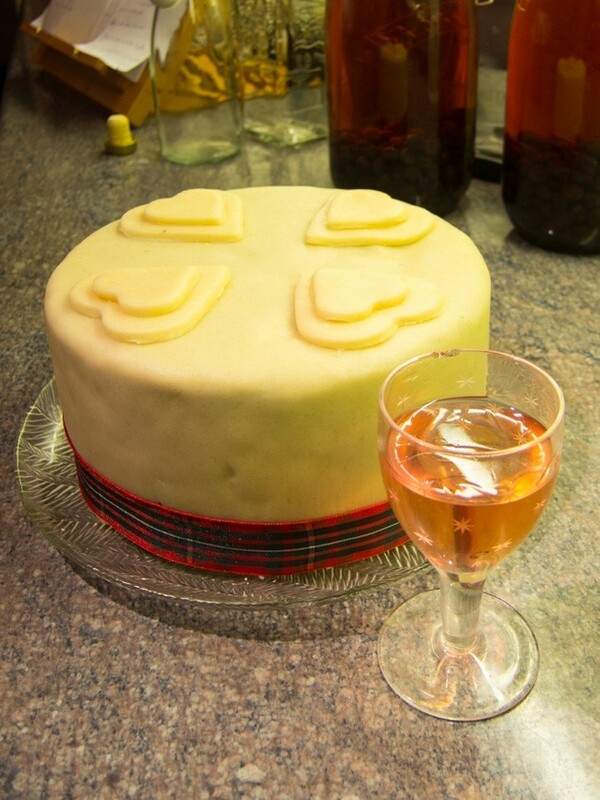 It wasn’t until I had added the extras to the finished cake did it sit so resplendent on its old silver tray. 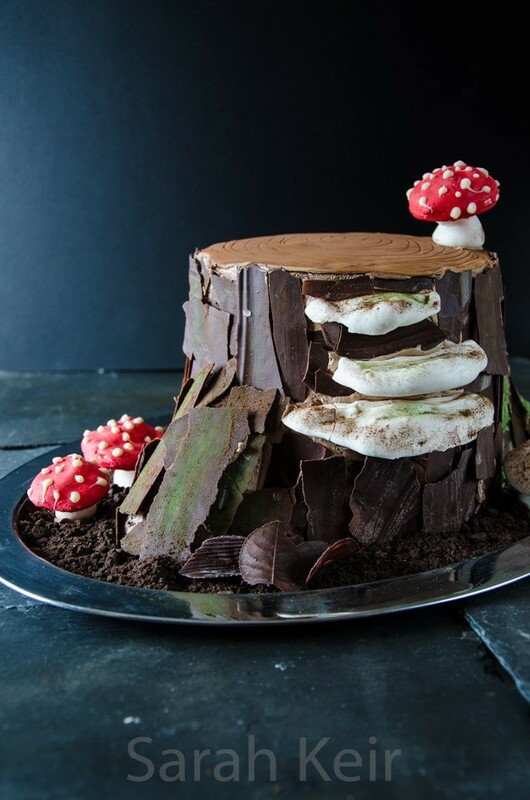 This whole cake is most definitely better than the sum of its parts; meringue mushrooms, chocolate shards for bark, fudge cut surface with rings, oreo cookie dirt, green coconut moss, chocolate and tuile biscuit leaves. 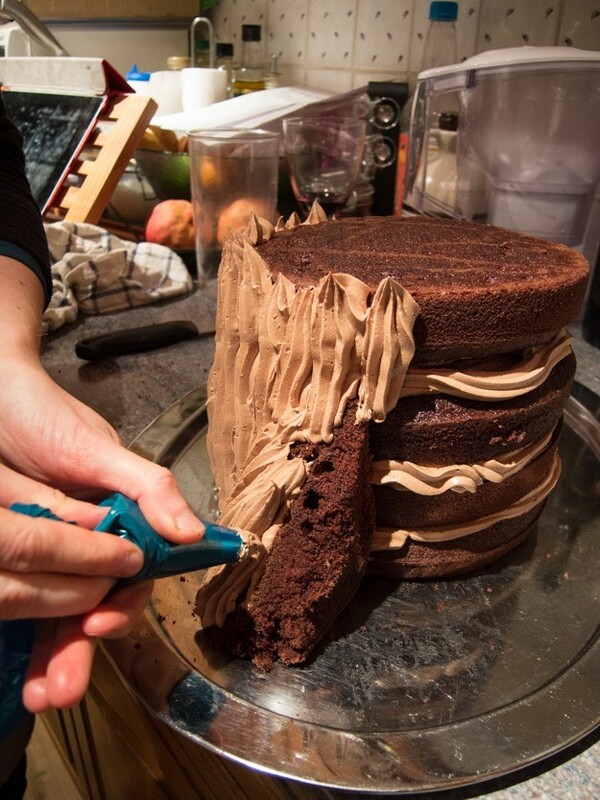 It was an endevour to get this cake together. 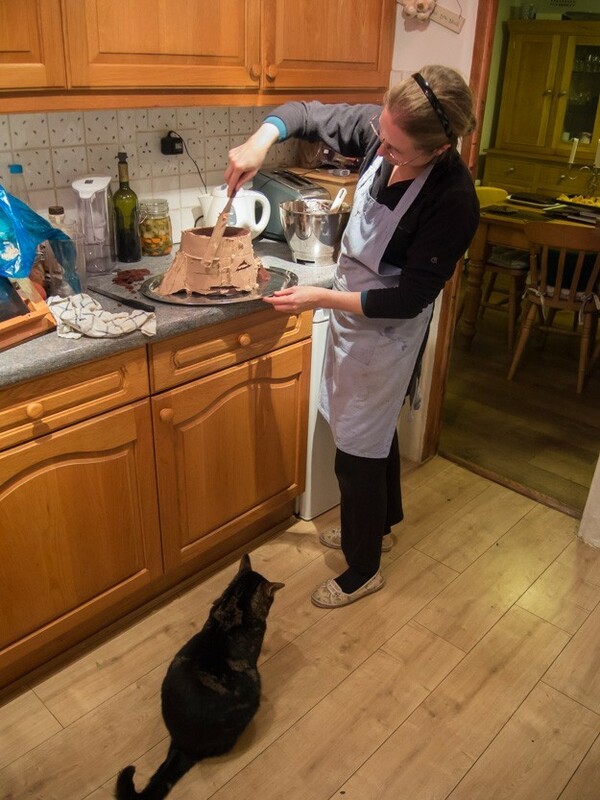 I think it was a total of about 10 hours work; 4 hours at the weekend making chocolate things and the meringue mushrooms and 6 hours on the afternoon/evening before the party to make the cake and icing and assemble it. 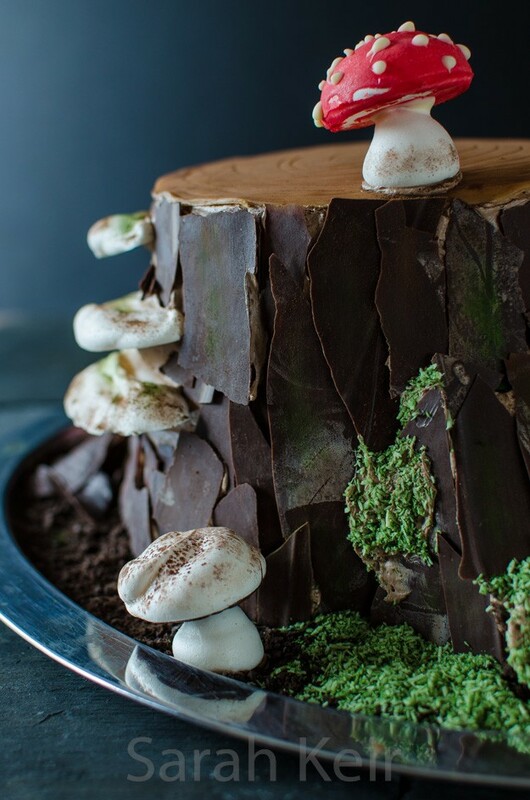 I love how this cake looks rustic and rough around the edges but that it only adds to the reality of the finished art work. It is a cake to be proud of! Here are some pictures of me making it. 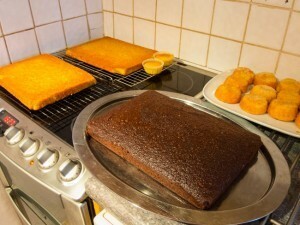 The four tiers and some of the tray bake. 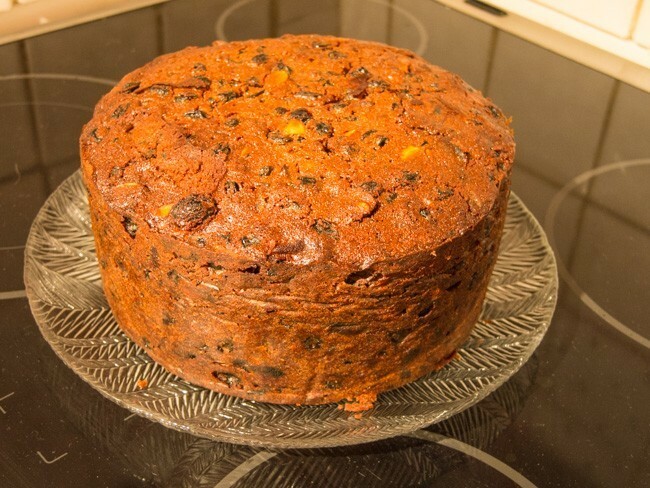 I can finally reveal the ‘other’ Christmas cake I have been working on now it has been unveiled and eaten; a roast turkey cake with the trimmings! I also made roast potatoes (lemon drizzle fairy cakes), sprouts (lemon white chocolate truffles), carrots (orange flavoured shortbread) and peas (green fondant and marzipan) and served it with gravy (chocolate sauce). Bring it on Heston! I really enjoyed the challenge of planning, designing and executing this beast of a cake! But I also need to give credit to my husband for his inspired suggestion. 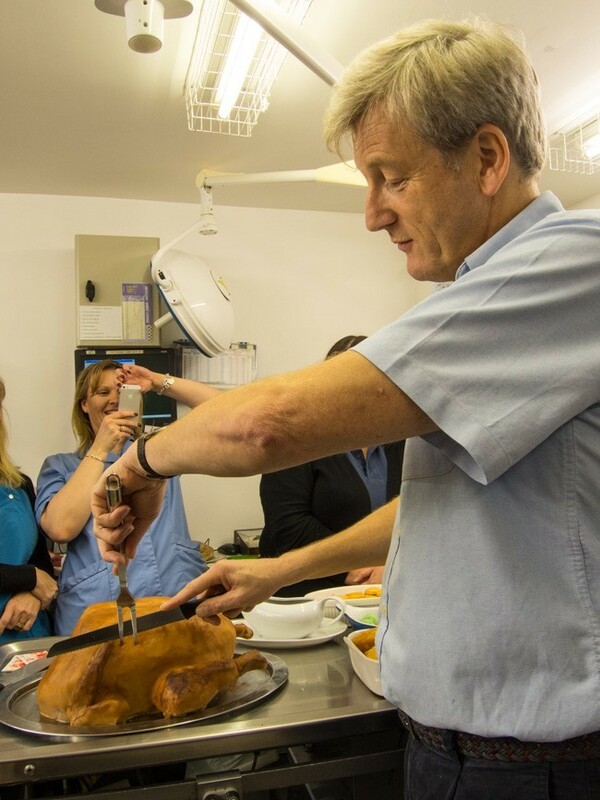 It went down well at the practice Christmas party this lunch time; there is nothing left which means job well done! Here is The Boss carving it! So here are some of the steps in making it. 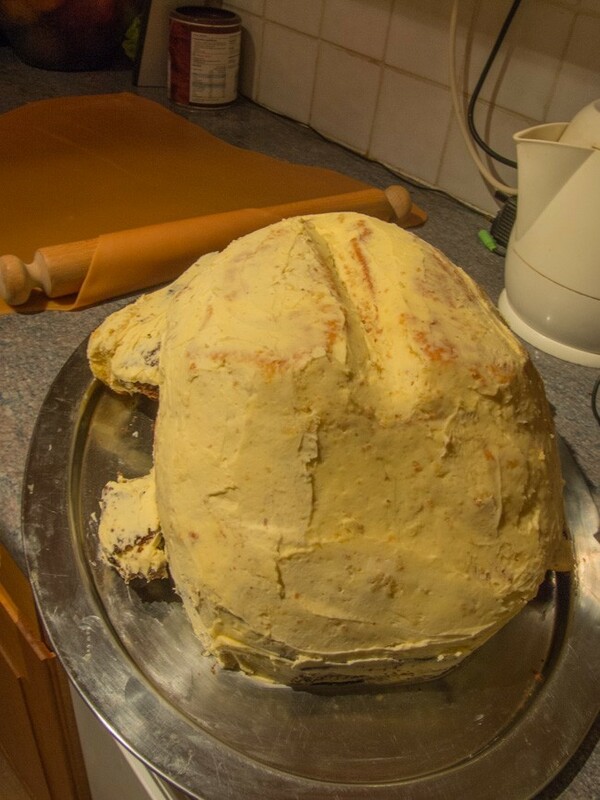 I started with 3 layers of cake (gingerbread, orange and spice and vanilla) and glued them in a stack with butter icing to signify the dark and light meat you get with a real turkey. Plus the cake for the bottom had to be really sturdy to stand up to the weight on top! 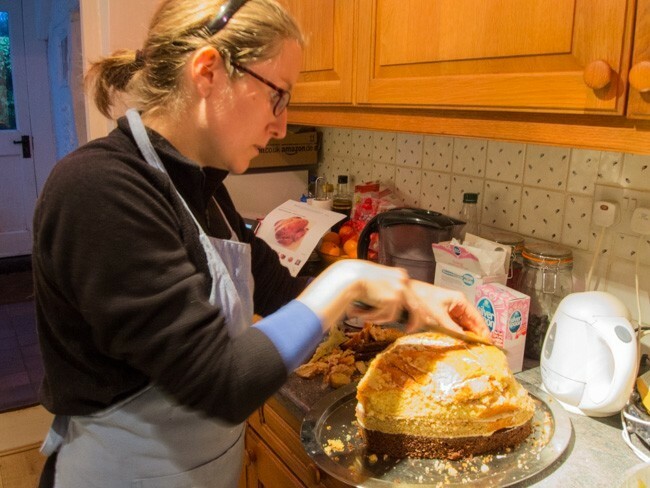 I then set about sculpting it into the desired shape, comparing to pictures of real roast turkeys online – you can see the intense look of concentration on my face! 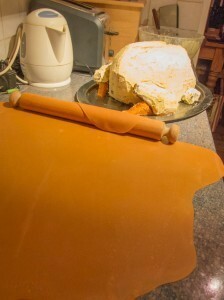 Then came a butter cream layer to get the icing to stick and a sit in the fridge to firm up. The icing is in fact softened dairy fudges! Putting them in the microwave for 10 second bursts then kneading and rolling out quickly before it cooled, it was stressful! 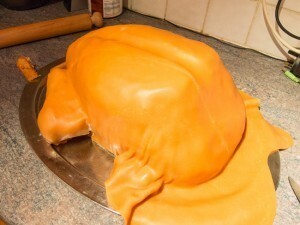 Then came the covering of the cake beast, using hands to sculpt the fudge layer neatly around the carved cake. 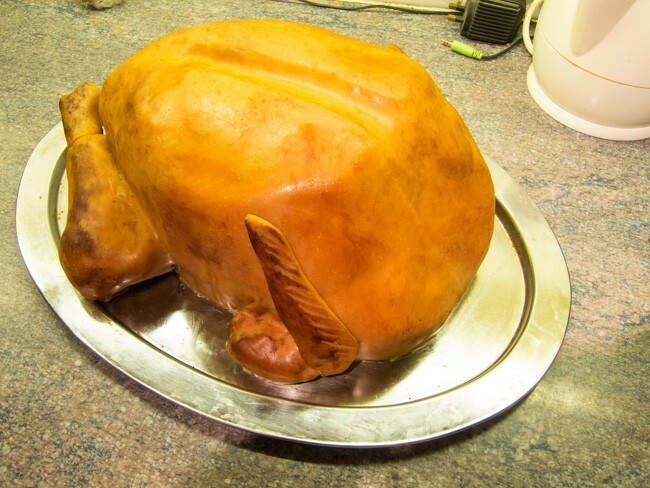 Finally, the finishing touches; fudge leg bones, texturing the skin with a dimpled piece of plastic and colouring with coco powder mixed with vegetable oil to give a real shine. Done!